Two men were arrested for a string of seven bank robberies that occurred over the past month. 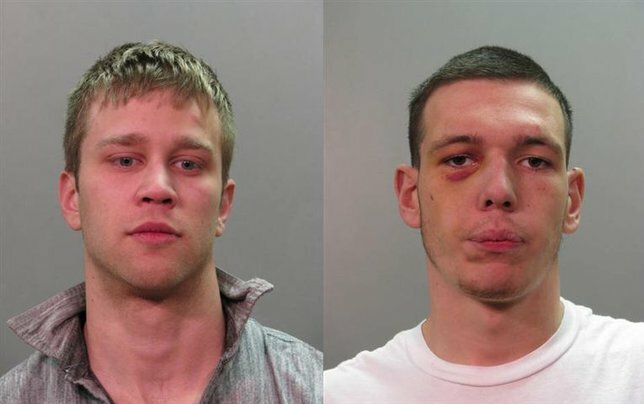 The Nassau County Robbery Squad and Suffolk County Pattern Crimes Unit announced today the conclusion of a joint operation in which they tracked down and arrested two Melville men for a string of bank robberies that occurred over the past month. Adam Baron has been charged with robbing a Bethpage Federal Credit Union in Westbury on December 26, a Rockville Centre TD Bank on January 13, and a Farmingdale Chase Bank on January 28. Jamie Ramirez is accused of robbing a Chase Bank in North Bellmore on January 17. Both men have been charged with robbing or trying to rob three banks on January 23—a Chase in Plainview, another Chase in Merrick (at which the robbery attempt was unsuccessful), and a Roslyn Savings Bank also in Merrick. Jamie Ramirez had been charged with Third Degree Robbery, Attempted Second Degree Robbery, and two counts of Second Degree Robbery. Adam Baron is charged with Attempted Second Degree Robbery and five counts of Second Degree Robbery. Both will be arraigned today, January 30, at the First District Court in Hempstead. Subject: LongIsland.com - Your Name sent you Article details of "NCPD & SCPD Team Up to Nab Two Melville Men for Spree of Bank Robberies"